When the iPhone 4S debuted, it was more notable for its software features than its hardware. The hardware offered only incremental improvements over the iPhone 4—a faster processor, a better camera, improved quality for video recording—but it was the software that got all the headlines. That's because Siri, iMessage, Notification Center, and iCloud debuted along with the iPhone 4S (Siri was, at that time, an exclusive feature of the 4S, while the other features were part of iOS 5, which came pre-installed on the 4S). These features have gone on to become fundamental parts of the iOS and Mac ecosystems across a range of Apple devices. The iPhone 4S was also notable because it was the first iPhone to work officially on the Sprint network. Apple A5 processor, the same processor used in the iPad 2. Apple says it will make the iPhone 4S about twice as fast as the iPhone 4. New dual-core graphics chip, which Apple touts as providing graphics performance up to 7 times faster the iPhone 4. GSM and CDMA cellular network compatibility in a single phone. This means that the same phone will work on both kinds of networks, rather than requiring separate devices for AT&T and Verizon networks, as the previous model did. Two antennas which work independently, to improve call quality and reliability. Improved data speed, at up to 14.4 Mbps download (HSDPA). 8-megapixel camera, with improved color fidelity and sharpness, better whites, a new light sensor, faster speed in taking both the first photo and subsequent ones. 1080p HD video recording with image stabilization. Release date: Oct. 14, 2011 in U.S., Canada, Australia, United Kingdom, France, Germany, Japan. The phone debuted on Oct. 28, 2011 in Austria, Belgium, Czech Republic, Denmark, Estonia, Finland, Hungary, Ireland, Italy, Latvia, Liechtenstein, Lithuania, Luxembourg, Mexico, the Netherlands, Norway, Singapore, Slovakia, Slovenia, Spain, Sweden, and Switzerland. A number of other countries got the phone by the end of 2011. Unlike in the past, when the introduction of a new model meant the previous one was discontinued, both the iPhone 3GS and iPhone 4 were still sold for some time after the release of the 4S. The 8 GB iPhone 3GS sold for $0.99 with a two-year contract, while the 8 GB iPhone 4 was $99 with a two-year contract. The 3GS was discontinued in Sept. 2012, while the 4 survived until early 2014. I awarded the phone 4.5 stars, saying it was "an excellent phone that introduces a potentially revolutionary technology." Macworld rated it 4 stars, noting that for some users "the iPhone 4S’s charms are a bit more subtle." Calling it "a winner" and "[the] best iPhone to date," Engadget gave the 4S a 90 out of 100. In rating it 8.6 out of 10, The Verge said "the iPhone 4S is pretty damn cool." CNET wanted a larger screen but still gave the phone 4.5 stars. The iPhone 4S was at the heart of a huge explosion in iPhone sales. In March 2011, about 6 months before the 4S debuted, Apple had sold around 108 million iPhones all time. 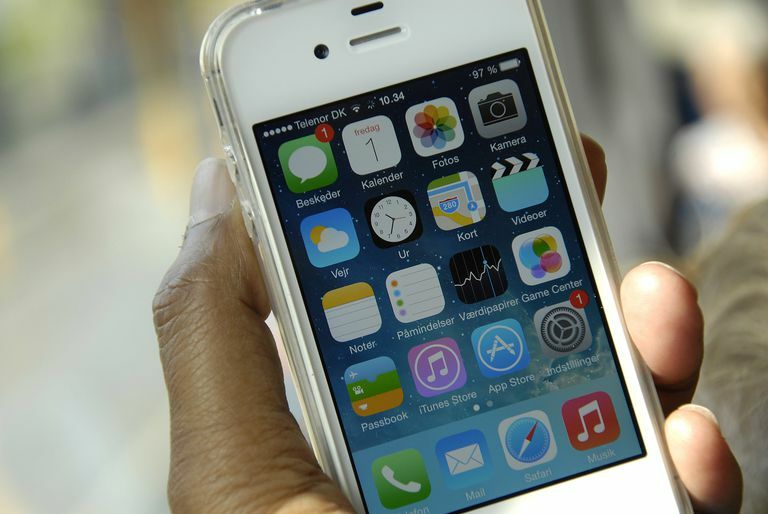 Two years later in November 2013, that figure had expanded to over 420 million iPhones. The iPhone 4S wasn't the only iPhone for sale in that time. As noted above, the 3GS and 4 were still sold after the 4S debuted, and the iPhone 5 was introduced in Sept. 2012. Still, the 4S was popular enough that it wasn't officially discontinued until 2014, nearly three full years after its release.